*Extended squad pending the fitness of Darius Boyd. GAME 1: ANZ Stadium Sydney – Wednesday May 5. 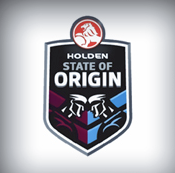 This entry was posted in Rugby League and tagged NRL, RL, Rugby League, SOO, State of origin. on May 31, 2013 by bradeveleigh.